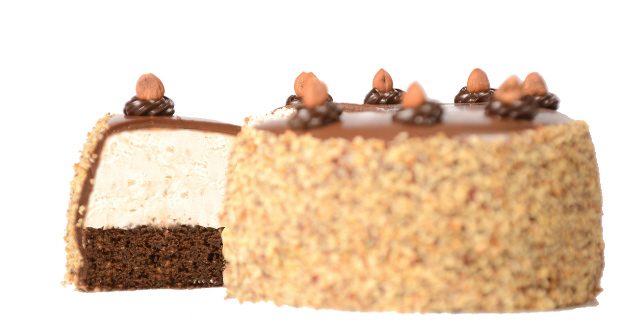 One layer of fudge cake topped with a generous layer of hazelnut cream, covered with our chocolate ganache. 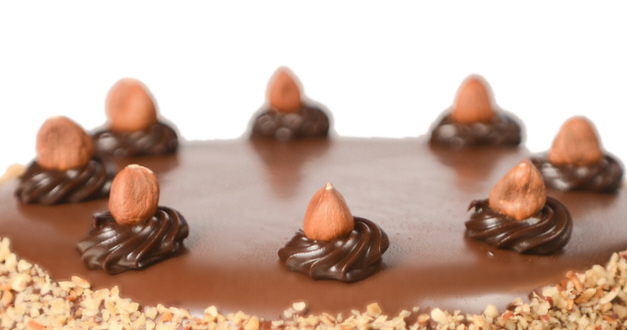 Toasted hazelnuts decorate the sides. Request this eggless (needs 48 hours advance notice). 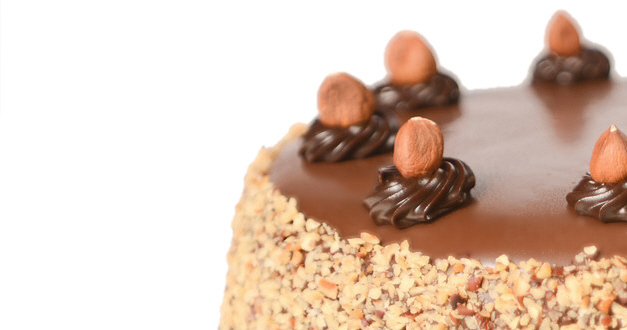 Sheet Cakes need to be ordered 48 hours in advance.